The ideal Preschool classroom is a place where children can grow and learn in a safe and welcoming environment. It is a practice run to prepare kids for the exciting and unexplored arena of elementary school life. Preparing these young minds for Kindergarten means challenging them and introducing them to the fundamentals of structured learning. However, in doing this, teachers also have to make sure that fun continues to be a dominant part of their lives. Traditionally, this has included lots of coloring, a decent amount of singing, and plenty of trips to the playground. The playground is especially important, because – as we all know – 5-year-olds can have more energy than a cheetah with a double shot of espresso. But what about rainy days? Sure, there are indoor games to be played, but musical chairs and four corners only lasts so long. That’s why Foamnasium is perfect for Preschool. It provides a fresh and exciting way to engage children in two of the most important forms of play. 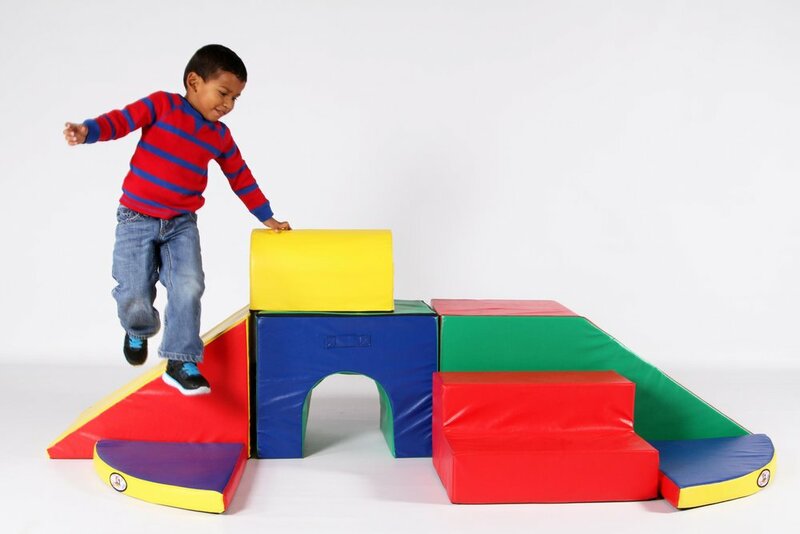 Our assortment of durable foam blocks, shapes, and active play sets give kids endless options for building their own kingdoms of creativity, and our selection of children's playroom furniture keeps them comfortable during their quieter moments. With Foamnasium, the fun never needs to stop. Even on rainy days.